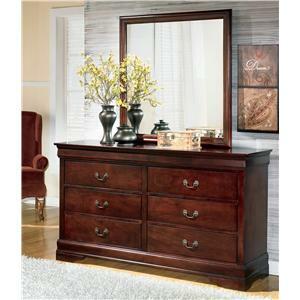 Easily create a timeless, polished look for your bedroom with this sleek transitional style dresser. 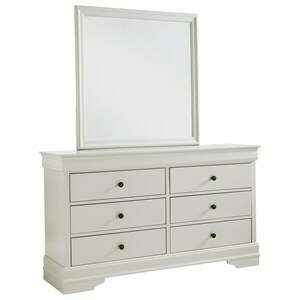 Combining the elegant look of traditional style with the chic polish of modern design, this dresser is adorned with tall, tapered block legs, beveled edges, crown mouldings, and bright metal knob hardware. 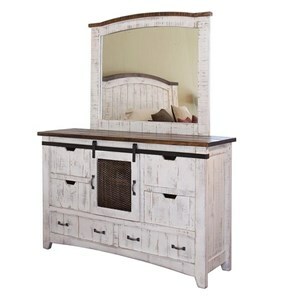 On its own or paired with a dressing chest mirror, this dresser is a stylish and functional piece. 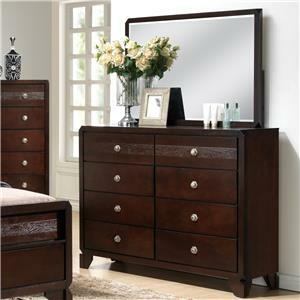 Eight drawers offer ample storage for your clothes, accessories, and linens. 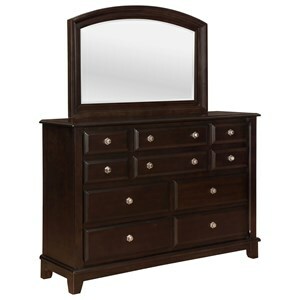 Pairing the dresser with a the subtly sophisticated, vertical mirror helps you create a classic morning prep area. 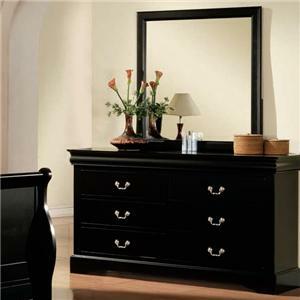 The C3136A Bedroom Transitional Eight Drawer Dresser and Vertical Mirror Set by Lifestyle at Sam Levitz Furniture in the Tucson, Oro Valley, Marana, Vail, and Green Valley, AZ area. Product availability may vary. Contact us for the most current availability on this product. 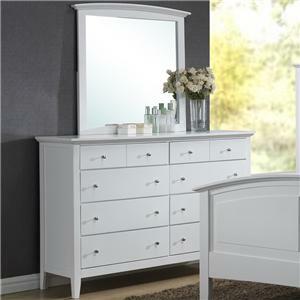 The C3136A bedroom collection from lifestyle is a polished transitional look, exhibiting a tastefully executed design that is sleek and subtly elegant. The dressy look of this collection was achieved by combining traditional and modern design accents into a timeless transitional collection. 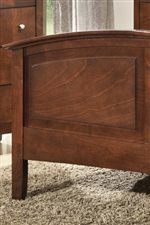 The chic bed, dresser, chest, and nightstand shown in this collection are all adorned with tall tapered block legs, crown mouldings, and a rich Whiskey finish color. 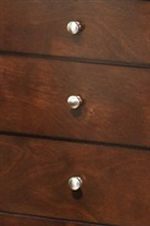 Storage pieces are trimmed with a beautifully complementary, bright metal knob hardware. 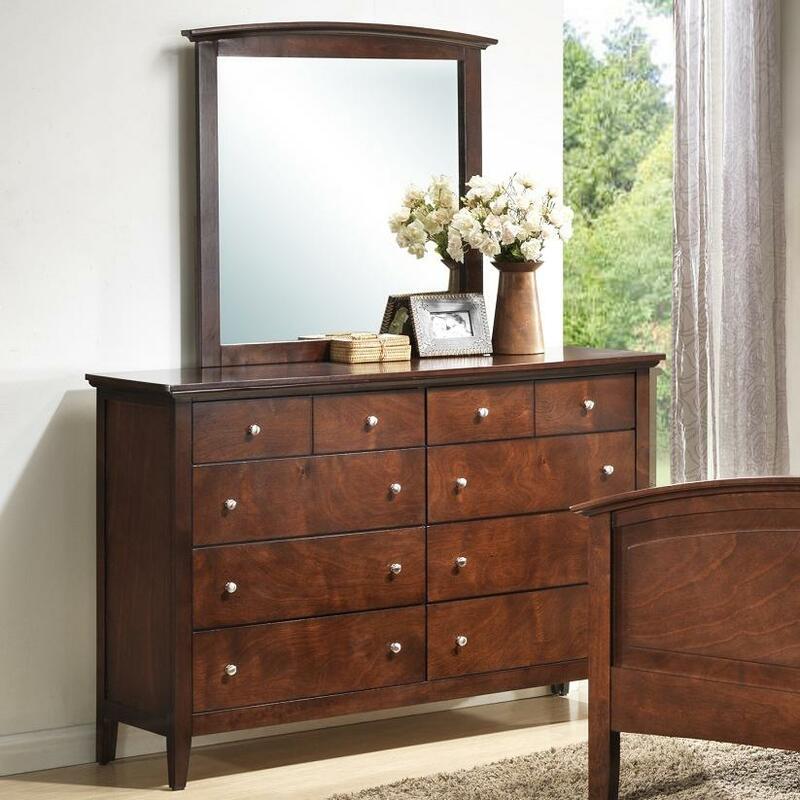 The C3136A Bedroom collection is a great option if you are looking for Transitional furniture in the Tucson, Oro Valley, Marana, Vail, and Green Valley, AZ area. 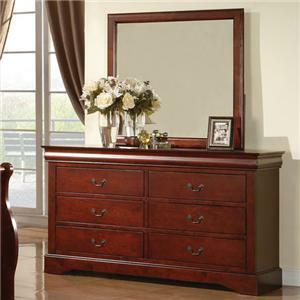 Browse other items in the C3136A Bedroom collection from Sam Levitz Furniture in the Tucson, Oro Valley, Marana, Vail, and Green Valley, AZ area.